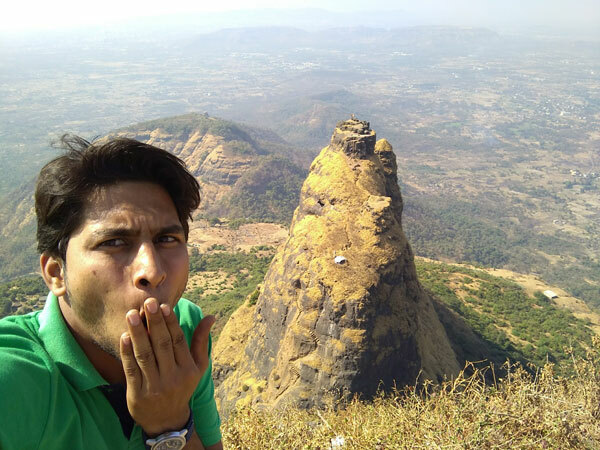 Kalavantin durg is a 685m high pinnacle on the northern edge of the Prabal plateau. It is located near the Machi and near the Vajepur village.This is the site of the Kalavantin Durg. You can also opt for Rickshaw from Panvel which will be expensive has they charge for their return journey also. Mumbai – Vashi – Panvel -take left from Shedung Phata to Thakurwadi. 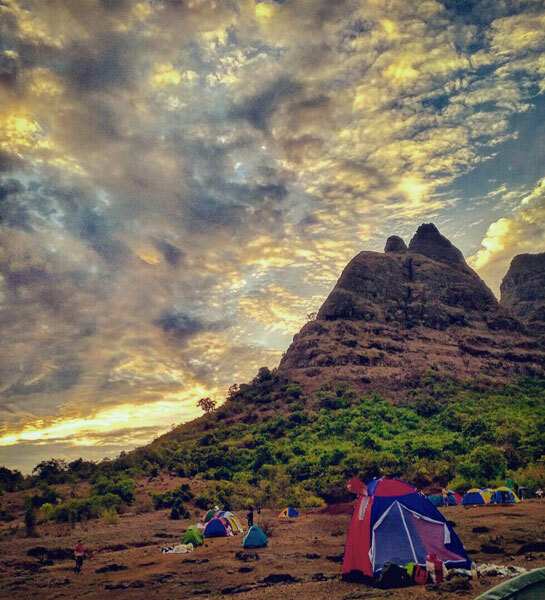 Prabalmachi is a place which is the base to reach Kalavantin and Prabalgad, which takes 40 to 50 minutes to reach from Thakurwadi. The Best Bag to carry on One day Trek. 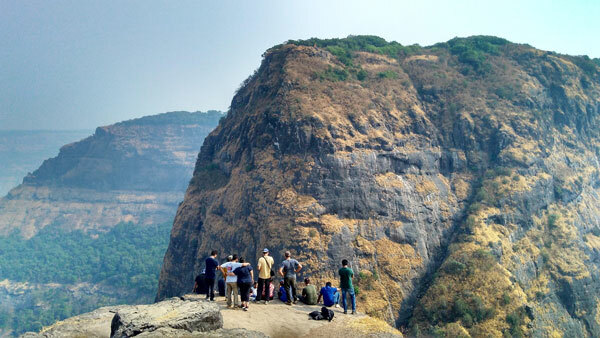 Nearby Forts to see Chanderi Fort, Prabalgad, Karnala Fort, Irshalgad, Manikgad . I started my journey from Bhayander station by boarding a train to Dadar and then went to Kurla and from Kurla hopped into a train to Panvel from the Harbour line in Kurla, Once i reach Panvel I met all my friends coming with me and headed towards Panvel bus stop which we reached in 15 minutes, I inquired about the bus to Thakurwadi it was scheduled at 0800 and then we waited for it. Yeah the bus are in time here we hopped into the bus and the drive was for 45 minutes. after we reached the base village we walked to the parking area which is also the starting point of the trek. we reached Prabalmachi the trail is well marked you won’t get lost here. once you reach Prabalmachi you can refill your water bottle if needed and head to Kalavantin durg whose trail is well marked. At last their is a small rock patch were you can climb with a rope which is already attched their. Dadar to Panvel station return ticket (Indian Railway) = Rs. 40. Took paratha’s (Home made) : Rs 0. Panvel Bus stand to Thakurwadi (Public bus transport ) : Rs. 17. 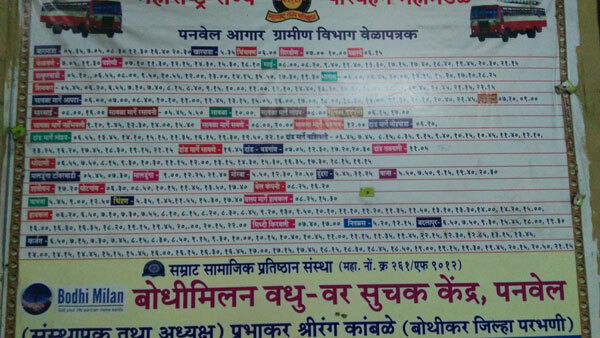 Thakurwadi to Panvel Bus stand (Public bus transport ) : Rs. 17. So the total expense of the trek was Rs. 74. Vlog of the whole trek. Join our Broadcast List for Travel and Trek News, Updates and blog by a Text on Whatsapp – 9762124690. Thanks for your blog . could you please mention cost to travel from mumbai to pune ? I have mentioned it clearly at the end of the blog about the cost of the trek. very helpful dost, as u were mentioning the route as well as the cost…Pls keep sharing!! This was very helpful. Thank you so much. When is the last bus from Thakurwadi to Panvel?